LOCATION LOCATION LOCATION !!! 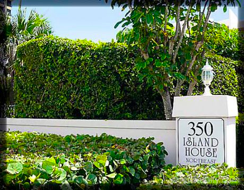 The Island House Jupiter Island Condos are just steps to the beautiful turquoise waters of the Atlantic Ocean and white sugar sand beaches. Welcome to your beach homes in these 2 intimate oceanfront buildings Island House Northeast has only 27 units while Island House Southeast has 22 apartments. Each condominium tower spans 5 floors. A perfect Florida sanctuary with dramatic ocean front views from every room, and spectacular sunsets over Jupiter Lighthouse & Blue Water Intracoastal views from your balcony. Watch the yachts go by while you relax. 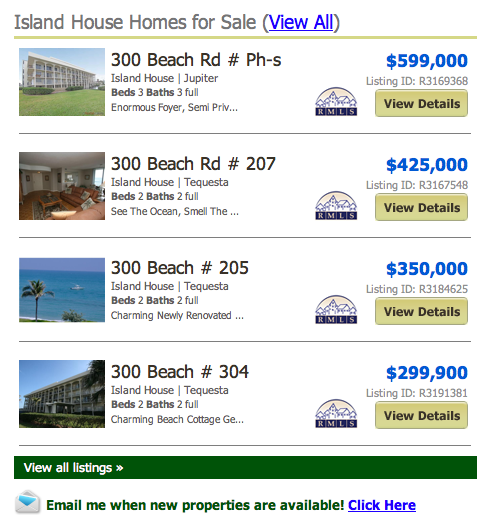 Island House Condos online now. All listings & Sold Statistics! Bring your boat; as the community has private deeded docks with 32’boat slips, which will accommodate up to a 32 foot boat, available for your use at no extra charge, perfect for hitting the ocean with just 1/4 mile to the famed Jupiter inlet. Island House, located at 300 Beach Road and 350 Beach Road in Tequesta Florida 33469, has perfectly manicured grounds, heated pool and community grill surrounded by tropical vegetation. Covered parking and ample storage lockers and a private picnic area make this the perfect retreat. The condominium homeowner association takes care of lawn care, building insurance, elevator, manager, security, exterior maintenance and the pool. Close to some of the best shopping and dining that Palm Beach County has to offer and only twenty minutes from Palm Beach International Airport. Island House is Florida living at its best. 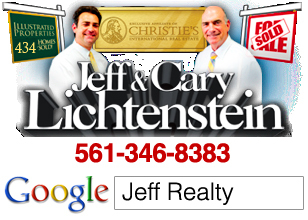 Posted in Jupiter Island condos, Uncategorized on October 1, 2011 at 12:40 am.